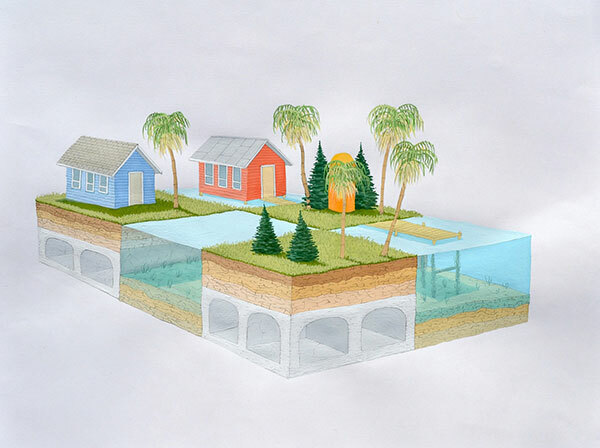 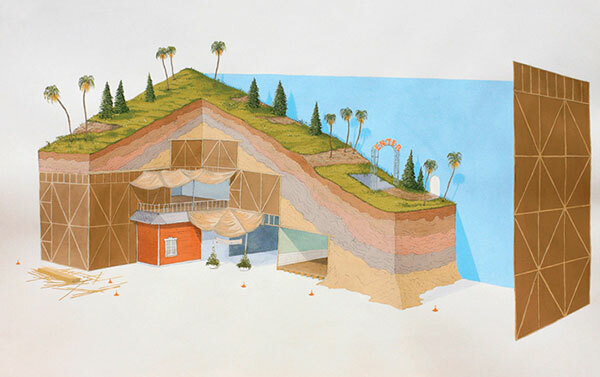 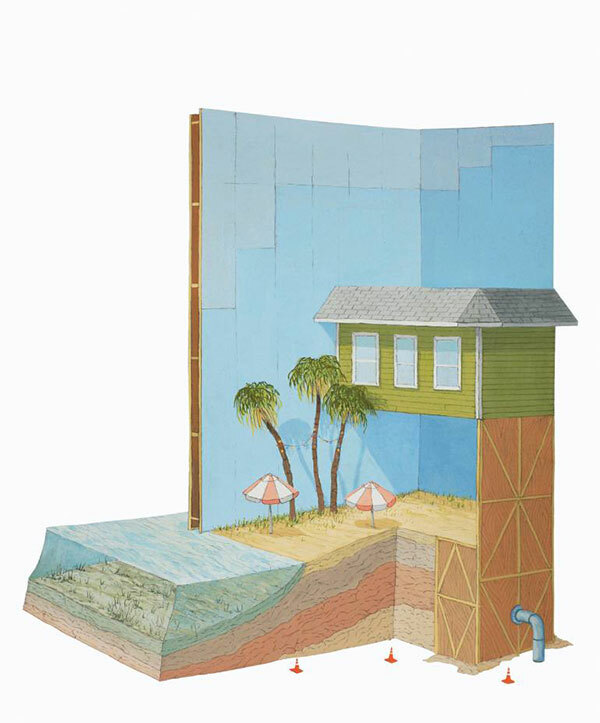 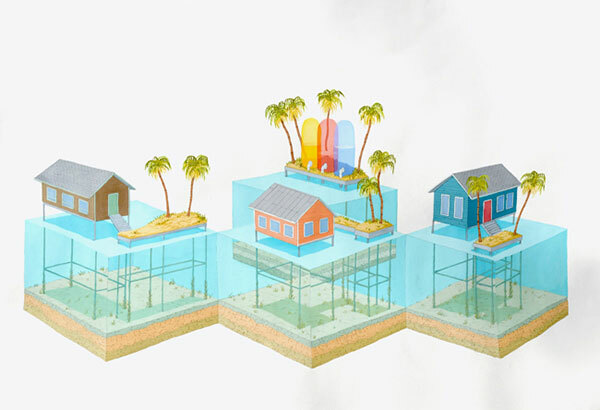 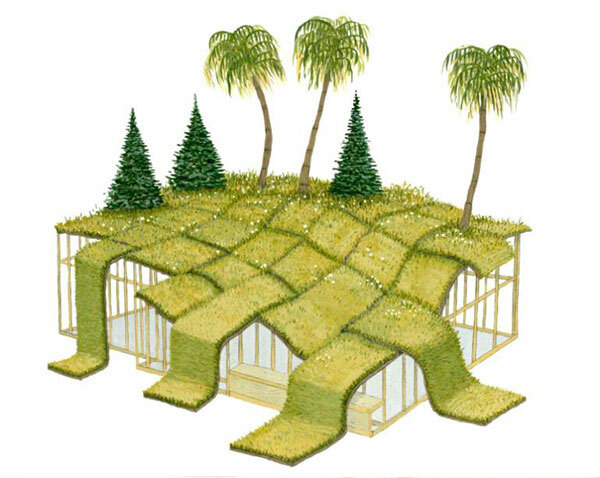 Paintings of imaginary real estate parcels shown in cross-sections that fall somewhere between construction or disassembly. 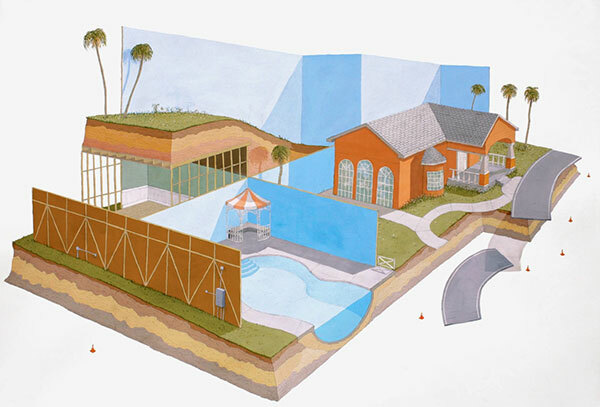 The works by Joseph Phillips have a storybook feel due to his use of line, color, and composition and are titled appropriately as if from some lifestyle catalog. 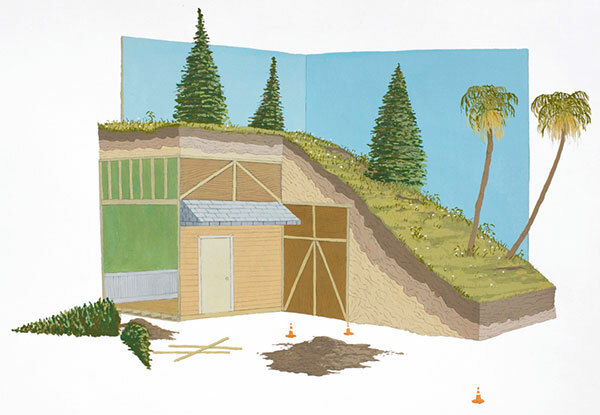 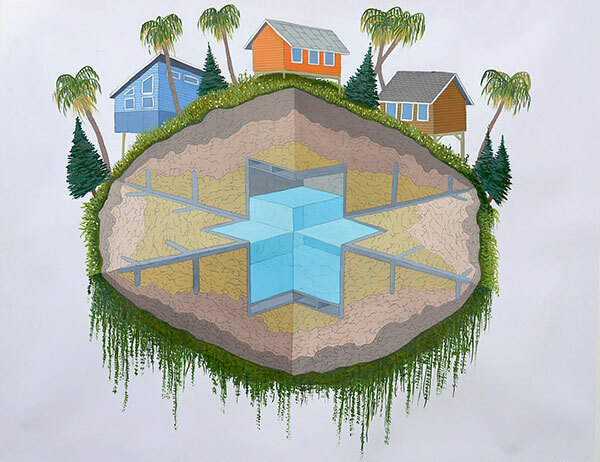 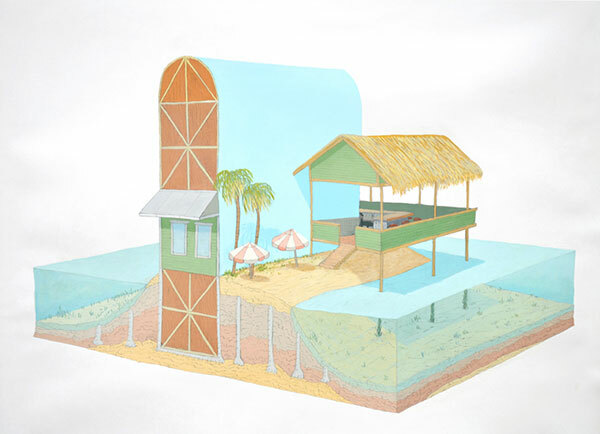 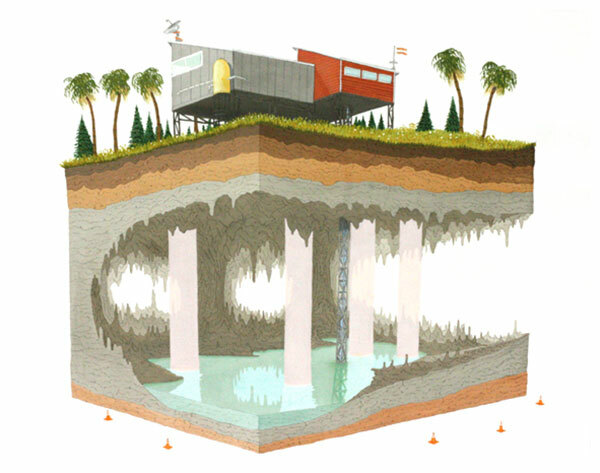 Titles such as "Country Cabin with Cistern and Shelter" or "Double-wide Bunker with Paradise Package" sparks the imagination of the viewer and gives these satirical utopias an innocent quality.